King crab legs ready to be eaten. 2 When Is King Crab Season? Of the 40 varieties of king crab known to exist, 10 are found in Alaska waters, according to the Alaskan King Crab website. 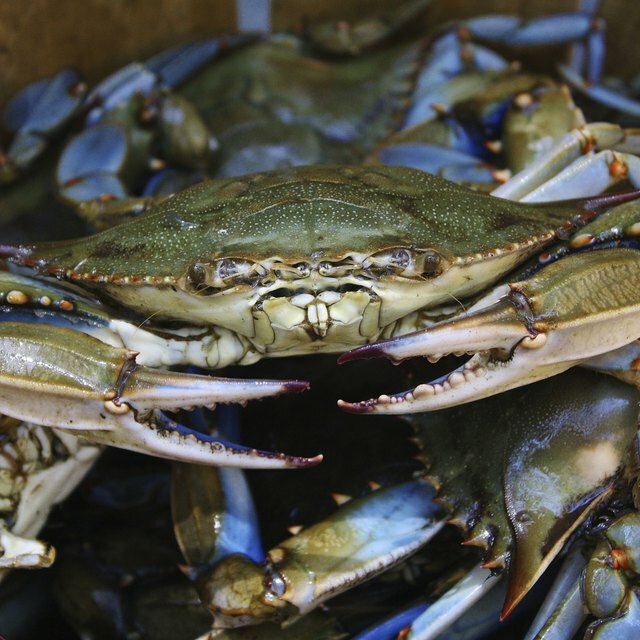 Caught from October through January, the three types of crab—red, blue and golden—are often shipped live to a processing company. Once there the crab is boiled, cooled, frozen, packaged and sent to retailers in 20-pound packages. 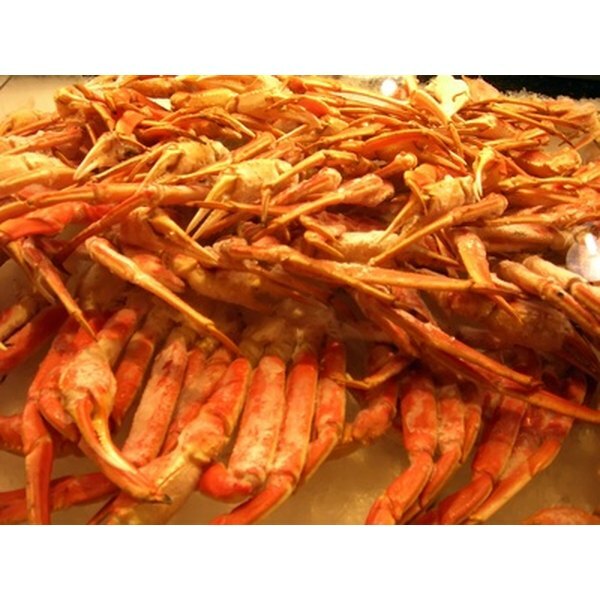 King crab meat is highly sought because of its sweet taste and moist texture. Add 1 teaspoon of garlic salt to 1/2 cup of melted butter and stir. Brush the king crab legs with garlic butter. Bake the crab legs in a preheated 350-degree oven for eight to 10 minutes. Or boil the crab legs, without the butter, in a large stock pot for about 10 minutes. Let the crab cool for a few minutes to avoid burning your hands. Grasp the crab leg with both hands. Place one hand on each side of the leg joint. Bend and twist one of the legs off. Set it aside. Slide your scissors between the shell and the crab meat. Cut down the length of the shell. Peel the shell and pull the strings of cartilage away from the meat. Set the crab meat on a plate with a dipping cup of melted butter. Dip the crab meat in butter, place it in your mouth and enjoy.